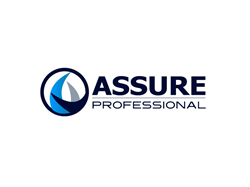 The provider of cloud-based, enterprise-wide event marketing software was examined by Assure Professional, affirming the security of their Event Management system. “We were glad to see the commitment that InEvent’s management undertook to establish the controls required for adherence.” - Juan Vargas, Assure Professional, Senior IT Security Auditor. “InEvent’s management expressed the interest to establish a firm control environment and adhere to industry best practices in addressing the criteria for the SOC 2, this commitment was paramount to ensure that their clients understood that Security and Availability were Principles that they adhered to. We were glad to see the commitment that InEvent’s management undertook to establish the controls required for adherence.” said Juan Vargas, Assure Professional, Senior IT Security Auditor. SOC 2 Type 1 audits are based on the existing SysTrust and WebTrust principles. The purpose of a SOC 2 report is to evaluate an organization’s information systems relevant to security, availability, processing integrity, confidentiality or privacy. To achieve SOC 2 Type 1 compliance, InEvent underwent a comprehensive examination process to authenticate the existence and effectiveness of implemented controls that affect the integrity of the system, as it processes client data, and protects the confidentiality and privacy of the information that is processed. “Global organizations require constant and permanent data protection around their systems and platforms. Security is an essential requirement of any IT manager checklist and our job at InEvent is to tackle this for the event managers, allowing them to focus on building relationships and not with complex IT requirements. InEvent 3 global trends for 2019, which highlight recurrent solutions, out of the box integrations and a global partner ecosystem, are aimed at speed, compliance and security, which are now even more compelling with our SOC 2 report release.” said Pedro Góes, CEO, InEvent. InEvent helps companies integrate their processes in an end-to-end digital solution, supporting interaction, automation and engagement at events. Since 2014, InEvent has successfully improved more than 12,000 events with over 2,400,000 attendees, collecting more than 10,000,000 engagement points throughout the journey. For more information visit http://www.inevent.us. With offices worldwide, InEvent transforms enterprise events with digital technology using end-to-end marketing solutions to simplify training, event and travel management. With management tools, online registration, marketing tools, QR Codes and integrations with Marketo and Salesforce, InEvent is an all-in-one event marketing CRM. As part of a broader marketing strategy, personalized experiences are powered by web, mobile and APIs that connect stakeholders in a secure, automated and easy-to-use platform. Visit http://www.inevent.us. InEvent Social: Facebook, LinkedIn.